I was able to head to the Paleocene area of the Potomac for a few of hours today, glad I did. I was heading to work, I was quite shocked to see the water was already extremely low even though low tide was supposed to be 6 hours later, I confirmed the tides when I got to work...a strong west wind had pushed the water out and I was set to have some prime time beach time with extra low tides. By the time I was able to slip out of work, I made it to the river about 2 hours before low tide...the water was already lower than I had ever seen it before; this is when I realized that I had too much of a good thing! I kept zigzagging back and forth between the waterline and the old waterline. I finally gave up the zigzag approach and decided to walk the waterline going and the old waterline coming back. The finds were less than what I was expecting but I'm not complaining either, I wish I cold have spent a few more hours out there. 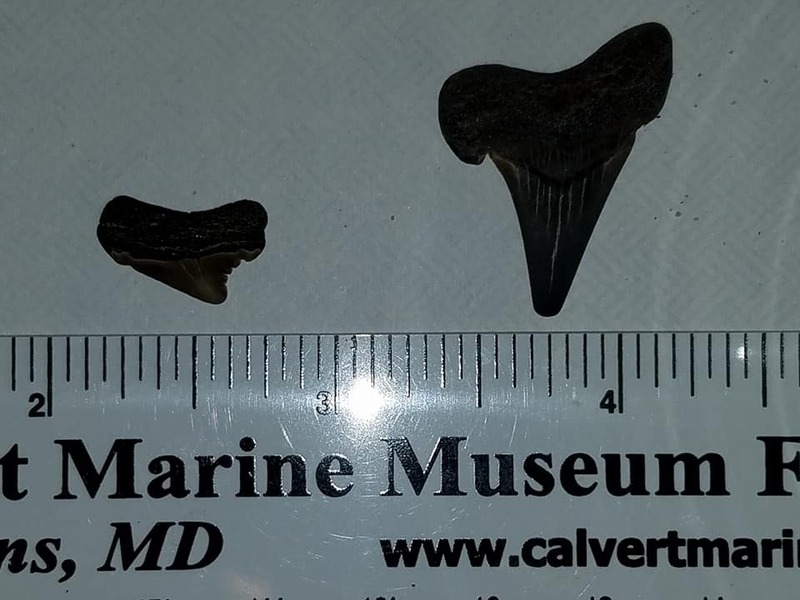 My trip maker was my second ever Paleocarcharodon orientalis, worn and much smaller than my first one, I almost discounted it when I originally spied it because I thought it was a broken tooth. A little voice inside my head told me to check it out and I was pleasantly surprised when I picked it up. Lots of nice black needles and blades! Nice! Is that Paleocarch posterior? Very nice! Nice size otodus too! Congratulations. Paleocarcharodon is high on my shopping list for the next time I visit the Aquia. 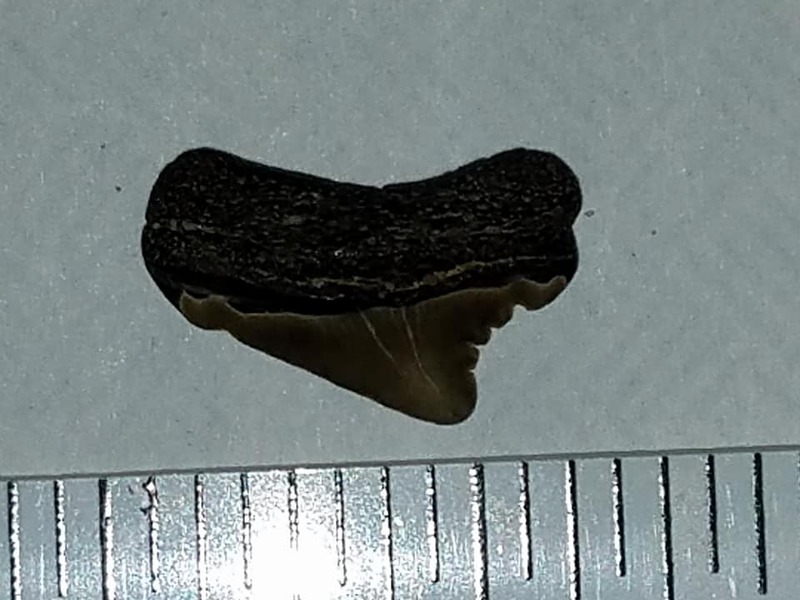 That's what I assessed it to be as well...when I first saw it, it looked as though the tooth was broken due to the slant. I was extremely happy that I bent over and saw what it actually was and it would make sense that it is a posterior. @MarcoSr can tell you if it is a posterior. Definitely a Palaeocarcharodon. Tooth is an upper posterior. Very nice. 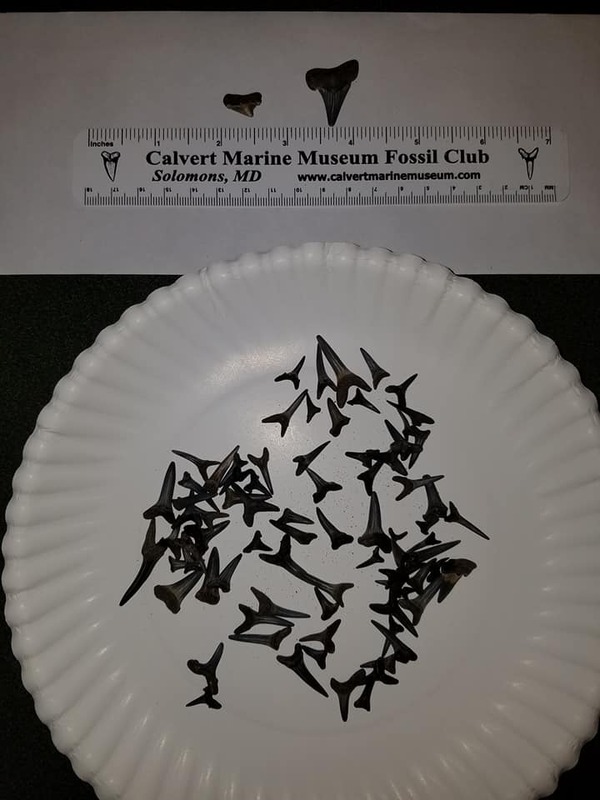 Great Otodus, and any Paleocarcharodon is a good find. Do you ever collect any micro matrix to search from there? The Aquia had some great micro's. I actually have 6 gallon bags of matrix from an area that Marco recommended for me to collect micros from, I just haven't gone through it yet.